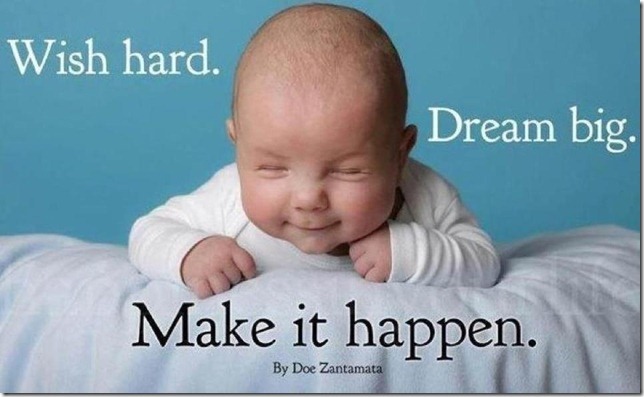 Dream big or small! With knowledge and wisdom about money matters you can grow any dream into reality. I used to fear the New Year. I always anticipated the worst rather than looking for positive outcomes that a New Year could bring. I am not sure how you feel about facing the unknown. Are you optimistic or rather pessimistic about your future? I can assure you that looking at our world with a bleak perspective is not joyful living. Unknowingly, you will gravitate towards a negative outcome unless you change this grim outlook on life. Trust me. I’ve been there. You may be facing tough financial times. You certainly can lament about this. Once you’ve vented, then it’s time to do “something”. The “something” might change the way you see your situation. You may have heard “change your thoughts; change your life.” Once you resolve to take on the challenge to change your negative thoughts into positive ones, you will be grateful you did. The positive effects of self-talk are life changing. If you are not in the habit of consciously listening to yourself, I recommend you do. You need to listen to your self-talk so you can eradicate any negativism. A number of years ago I attend a course, “Imagine 21 ~ Fast Track to Change”, offered through the Pacific Institute. This four-day course dramatically changed my outlook on every aspect of life. The reality is that life is made up of different facets: professional, spiritual, family, health, social, community, financial and education. You may choose to redefine the titles to include career and relationship or include new ones such as recreation and business. Whatever is important to you makes up your Life Balance Wheel as shown in the diagram below. The process starts with conducting a self-assessment to identify how satisfied you are with each area of your life. In this assessment, “1” reflects the lowest degree of satisfaction while “10” reflects the highest. The point of this exercise is to provide a visual tool so you can examine your life as a whole. If you desire balance in your life, you will want to identify areas which require improvement. Lou Tice, founder of the Pacific Institute, teaches that “You decide on areas where you might want to grow, where you have potential. It could be with your family, your income, or some form of your behavior that you are not pleased with. I want you to select many areas of your life, not just one. You are a whole person, not compartmentalized, and it won’t do you any good just to grow in one area. I want you to grow as a full person: spiritually, emotionally, as a leader, or whatever is important to you as a whole person, the kind of person you choose to be. Select many areas where you want to grow, and do them all at the same time. You are very capable of doing so. One way to implement change is by creating a vision of your new reality with the use of affirmations. Affirmations are effective words strung together to create a mental image of the positive scenario you want to instill in your mind. As Lou Tice shared you have to change from the inside. Until you do, you will not see real change on the outside. By repeatedly reminding yourself of your new vision with the use of affirmations, you will gravitate towards your goal. I did and I know you will too. When I took the course, I wrote my affirmations on index cards. Recently, I discovered Pacific Institute has created an app which allows you to create goals and corresponding affirmations. 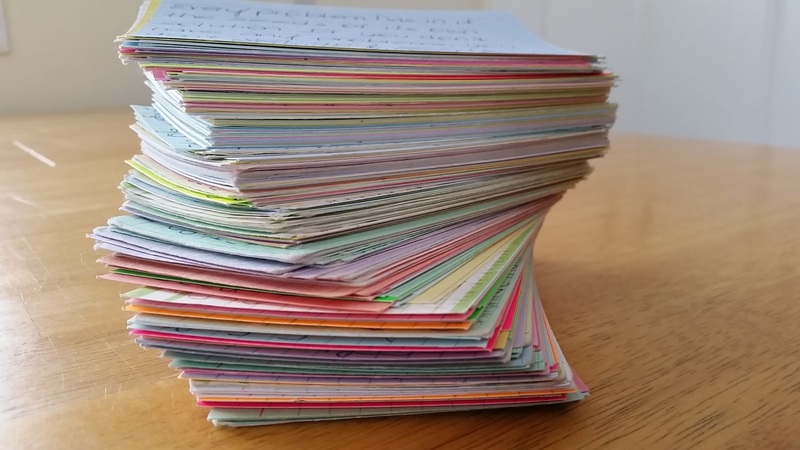 The Pacific Institute Affirmation Assistant may be the perfect fit unless you prefer to use index cards as I did. Whichever method you incorporate, you will discover the positive effects from reciting affirmations daily. q An affirmation is personal. q An affirmation is positive. q An affirmation is written in the present tense. q An affirmation denotes achievement. q An affirmation makes no comparison. q An affirmation contains action words. q An affirmation contains emotion words. q An affirmation is accurate. q An affirmation has balance. q An affirmation is realistic. q An affirmation is ideally confidential. When writing affirmations about money, I borrowed bits and pieces from others to create this. “Money comes easily and frequently. I can afford anything and everything I want. I am a money magnet. I love money and money loves me. I am receiving money every day.” Be sure to write the action and the emotion with clarity. As you say “Good-bye” to 2015, say “Good-bye” to your old way of thinking. You are given a fresh new start in a new year which begins with saying “Hello” to new ways of creating amazing things in your life. Your positive self-talk with the use of powerful affirmations creates the change you desire. Your new improved outlook on life starts in 2016. Believe it! 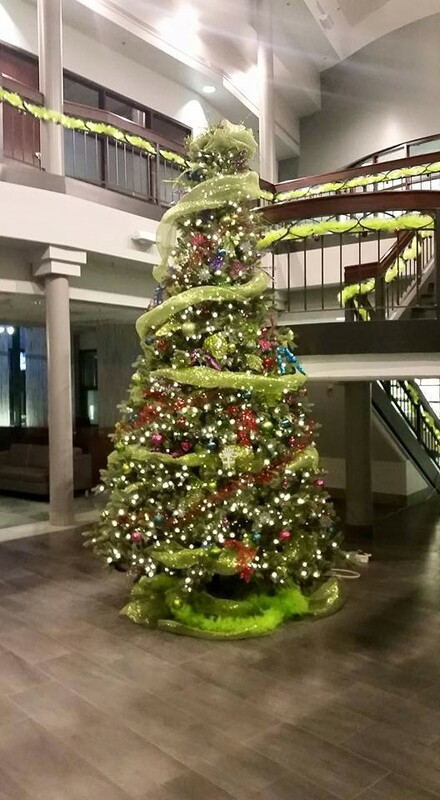 The all-too-familiar question, “Are you ready,” is often asked as Christmas approaches. As you prepare to answer, you mentally roll through the tasks on your long to-do list. Doing all that’s required on your list is one way to get ready for Christmas but the other way is preparing yourself for the cost. Christmas, for most people, can come with a high price tag, higher than some anticipate or would like. The challenge is to set a realistic budget. A memorable Christmas doesn’t have to be expensive unless you choose it to be. Somehow in the hype of the season, you may lose focus of your dream list. Think about it. If you want a winter vacation, you want to ensure you don’t blow your entire savings on Christmas. My friend, Marilyn, is so wise. She has always faithfully saved for Christmas. A set amount is transferred every payday to an account called “Christmas Savings”; so when Christmas arrives, she enjoys the holidays financially stress-free because she is prepared for the cost. 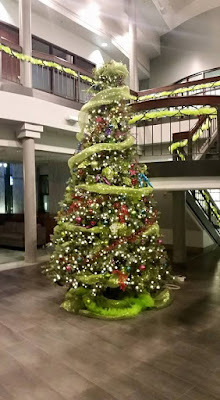 When you stop to think about expenses associated with the festive holiday, the list is long. There’s the Christmas tree with its decorations and lights, the turkey dinner with all the fixings and, of course, there are the gifts. Don’t forget the new Christmas outfits for your family and you. Goodness, what would Christmas be without a variety of baking, chocolates and nuts? Your list may also include travel costs. Lastly, your generous donation to the foodbank ensures others enjoy Christmas too. Saving and spending should be coordinated smartly. Saving with the intention to spend the money on a special occasion like Christmas is a smart strategy which requires honesty. First, you need to be honest with yourself. How much can you realistically spend when you consider all your financial obligations, loan payments, living expenses, and other reasons for savings, retirement or children’s education? Second, you need to be honest with others, your family and friends. Too often, you may feel pressured to spend more on Christmas gifts than what you can afford or even what you want. Everyone’s perspective on Christmas is entirely different. Some enjoy lavishly spoiling loved ones with gifts because they can while others prefer to celebrate with a greater emphasis on the time spent together with family and friends. However you spend this joyous season, you want a Christmas which is memorable and enjoyable without the burden of wondering how you will pay for it. Christmas was never intended to be burdensome. As you complete those final touches in preparation for this important holiday, take a moment to reflect on your feelings. If you have managed your Christmas on a realistic budget, congratulate yourself. If you need to promise yourself that next year you will do better, then create a plan. There isn’t a better time to make a promise than at the start of a new year. Envision taking a trek across the desert. Surely you would plan for an excursion like this. You wouldn’t simply forge ahead without pre-determining the things you needed to take: sunblock, compass, water, miner’s light, and appropriate clothing for varying weather temperatures – hot at noon and cold at night. Your determination to preplan ensures the journey will be enjoyable and you will survive to tell about it. I see New Year’s Resolutions in the same way. You may envision where you want to go financially but you don’t take the appropriate time to plan the journey to ensure your New Year’s Resolutions survive. The typical promises to pay down debt or save more money do not stand a chance without a definite action plan. Let’s see if the following five strategies can make a difference in approaching your New Year’s Resolutions with gusto. 1. Create a Vision Board. Having a vision board gives meaning and life to “seeing is believing”. If you want to save $1,000 or $10,000, scribble this balance on a copy of your bank statement. If you want to see your loan paid off, do the same. Cross out the present balance and write a BIG FAT ZERO under the outstanding balance column. Clip pictures of your dream Disney World vacation, a new car, or a newly-renovated kitchen. You may add quotes, draw, or write about the things you want in your life. 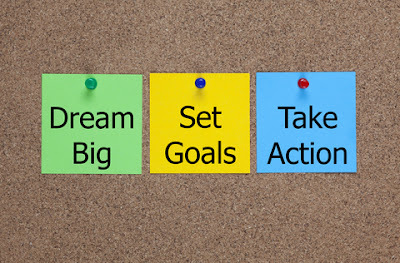 In essence you are writing your goals, dreams and aspirations in new creative ways on a poster board. At a quick glance you can see the things you want and add them to memory. This is the first step to a successful financial plan. When you do this, you establish a target. Zig Ziglar said, “If you aim at nothing, you will hit it every time.” Ensure you aim at the things you want. 2. Track your spending. I know you are going to hate this strategy until it eventually becomes a habit. Many methods allow you to track your spending. With the use of phone apps, software programs, on-line banking, or spreadsheets, you can see where you spend your money. The fact is your discretionary spending, not fixed expenses, kills your best intentions of following through with your New Year’s Resolutions. You find yourself led into temptations by marketers leading you astray from your goals and dreams. Don’t be deceived into giving into temporary pleasures. You must make the decision to resist temptation and press towards your goals. Each passing week, you will vow to do a better job to manage your money. 3. Set-up automatic transfers to saving accounts. Getting into the rhythm of savings could be as easy as determining how much you want saved by a specific date. The math part is easy. The total is divided by the number of pay periods to determine how much to save from each pay cheque. The difficult part is actually doing it. Trusting yourself to make the transfer might not be the best choice. You could come up with a million reasons why this can’t happen on any given payday. Setting up automatic transfers to a savings account which you can’t see or touch is the ideal solution. Some people can handle seeing their savings grow; others cannot because they are tempted by images of what their money could buy them. Knowing your limitations will help you determine the best approach to save and to build appropriate safeguards. 4. Draw a line in the sand, “No more debt!” Paying down debt will happen “logically” as long as you do not borrow any more money than you already owe. Term loans and mortgages have set payments and specific timelines to ensure your balance will eventually be nil. Revolving loans (Line of Credit) and credit cards are a different kind of beast which require more discipline on your part to be paid in full. Simply paying the interest or the minimum payment won’t reduce the balance within a reasonable time. The plan should be to apply any excess cash to the revolving credit debt. By tracking your spending, you will know where the spending cuts can occur to create the excess cash. 5. Create a balance of enjoying life, savings and paying down debt. I love the children’s song, The wheels on the bus go round and round. There’s something magical in the words found in the first verse. This may sound crazy but the song appears to speak about real life. Take a moment and imagine your life as a bus travelling around the town. It would be difficult, if not impossible, to cruise around town with a flat tire. The aspects of your financial life, day-to-day expenses, savings, taxes, and debt, are like wheels. For example, if you put all your focus on paying down debt, you would not have any savings needed for car repairs, veterinary bills, or replacing much-need appliances. This leads to borrowing more money and increasing your debt. Your savings happens to be your flat tire. Developing strategies in proportion to your income, keeps your wheels in good driving condition to manage a well-balanced life. A healthy financial plan involves more than “paying down debt” and “saving more money”. You mustn’t forget about the other important items like: reviewing your insurance to protect yourself and your family; ensuring your Will, Power of Attorney and Health Care Directive are up-to-date to reflect your wishes; and establishing an emergency savings. When you click here and include these items to your existing New Year’s Resolutions, and take action as necessary, you will fulfill the ultimate resolution. Studies have shown that Canadians with financial plans are saving more, living well, and experience higher levels of overall contentment in their lives. Wouldn’t that be the ultimate achievement and success to fulfill your New Year’s Resolutions? Retirement comes with its own set of challenges. Sometimes these challenges are not solely related to money. Misconceptions may cloud your perception of the ideal retirement. Trying to fit into a mold designed for someone else will not help you live the retirement you were designed to enjoy. The books below highlight either specific chapters or focus entirely on the softer side of retirement. Conversations should involve more than determining your sources of retirement income. Your lifestyle deserves attention too. If someone is approaching retirement or has already retired, you may consider giving one of these books which will help them transition from a working lifestyle to their ultimate retirement. If you are considering retirement yourself, you may see another side of retirement. Every person’s retirement will be different. Some may choose to work part-time while others will do volunteer work; some may choose to travel while others will stay close to home. Some may relocate to another city while others will simply downsize to a smaller home. Certain decisions will be easy while others will be complicated. Finding what works now will be as important as making changes as the years pass. To create the life you dream of having, perhaps one of the following books can help. 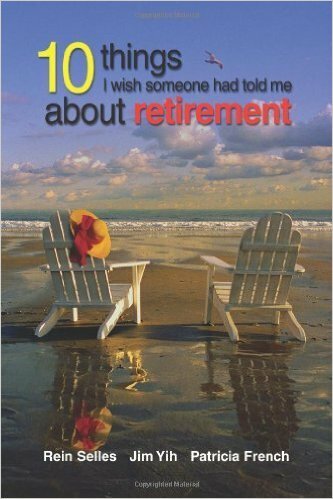 In the book, 10 Things I Wish Someone had told me about Retirement, one enjoyable activity which Rein Selles recommends is to design a “retirement card”. Business cards identify people by their name, title, and contact information. Your retirement card, the same size, has one notable change. It answers the usual question people ask, “What are you going to do when you retire?” On the card, you will state your name, one thing you would like to do “retired” and where you hope to do this. You may be interested in knowing if retirement isn’t in your plans, the chapter, You Cannot Retire from Yourself, gives you permission to keep working if you love your present job and want to work beyond 65. Pressure from others is not a good reason to retire. 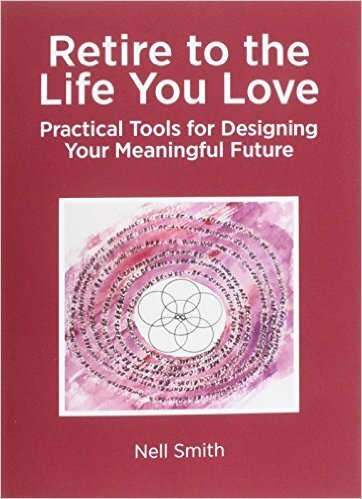 The design on the cover of Retire to the Life You Love shows the Six Circles of Life. At the heart of these interlinking circles is you. You are the inner circle. Nell Smith takes the approach to help you be who you are. Inside this book, you will discover personalized tools to create a lifestyle which brings you joy, happiness and contentment. Her holistic approach will help you think about certain aspects related to retirement you may have never considered. 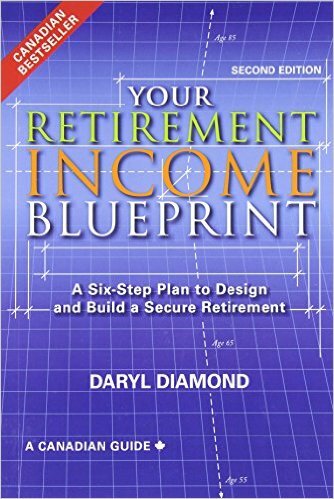 In Daryl Diamond’s book, Your Retirement Income Blueprint, he emphasizes that retirement is driven by two hubs. The most obvious one is the “Money Hub” and the other, not so obvious, is the “Time Hub”. During retirement, knowing what you will do with your time and what you want to do, are vitally important. Your activities may be related to following your passion or may be solely recreational such as golf, gardening, travel, volunteer work, or helping the children. You will need to consider whether health issues might impede your retirement activities and where you wish to reside.The benefit of having enough time to plan ensures you will make the correct decision. Having a list of questions to kick start the planning process is useful. “Flunking” retirement is a possibility. Many people have failed because they felt they were missing something. Their solution may be to return to work. 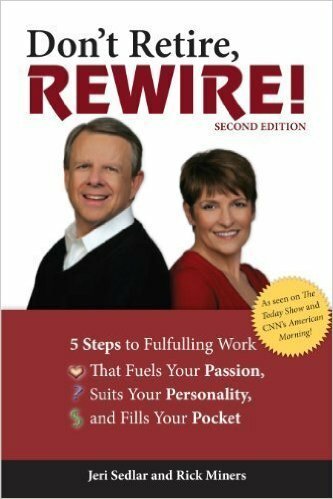 The premise of this book, Don’t Retire, Rewire was written with the understanding that you are not retiring from something but rather to something. To find the turn key to that “something” you may need to rewire. A chapter in this book helps you understand your drivers. What motivates you to work today? The reason this is so important, as the authors share, is that these drivers will create your new future. Their motto: use your today to build your tomorrow. Who would think that making your bed has anything to do with improving your life? Analyzing this behavior never occurred to me as I believed people always made their beds as part of their daily routine. Apparently, there’s more to this ritual than I was led to believe. According to Jennifer Wasylenko, she spells out the five reasons for making your bed. 1. It gives you a feeling of accomplishment. 2. It creates a positive state of mind as you go to bed. 3. It lowers your stress. 5. It leads to other good habits. If this ritual could lead to the development of organizing and maintaining financial records, then I would encourage everyone to start making their beds. Having an orderly record-keeping system is important. If you are prone to not knowing where your important “stuff” is stored and would like to develop an efficient system, now’s the time to start. It’s a brand new month closing in on a brand new year. If you are willing, a new year can bring about the implementation of new habits or resolutions. Plenty of resources can be found on the Internet about organizing your financial documents. Most people are familiar with “For Dummies” books, created to teach and simplify our lives. Here’s an article from their series, How to Organize Your Financial Records. Use the information to design an effective process for yourself. Generally your incoming financial mail is mostly bills, bank/investment statements, contracts, and important tax filing documents. The use of tools such as filing cabinets with file folders, binders with protective pages to hold receipts, and a basket for bills-to-pay will manage the flow of documents passing through your hands in route to their final destiny. Opportunities are now available to receive and retrieve information on-line through electronic bills and statements. This is a good way to simplify your life. Learning to electronically save information will reduce the clutter and mounting piles of paper. You can’t lose a phone bill when it’s stored at a service provider’s website. Even charitable receipts can be emailed. This new mail delivery brings challenges to create an on-line filing system so documents can be easily retrieved with a couple of mouse clicks. Perhaps, your call to action may begin with making your bed every morning. Perhaps, this will prepare you to tackle the big project of organizing your financial records. Perhaps, developing one good habit leads to the creation of multiple good habits. I am anxious to hear the results of this experiment. I, for one, cannot leave the house if my bed is not made. It repeatedly demands, “Make me!” Nothing could be worse than a talking bed even if this irritating voice is only in my head. If the theories behind making your bed change your financial behavior, please feel free to share. K.Ag Growing Farm Profits Inc.
power of attorney for personal care. Theme images by luoman. Powered by Blogger.